For the past four years, Lake View High School has offered a Geometry program for advanced 8th graders from local elementary schools including Blaine, Hamilton, Hawthorne, and Ravenswood. The program was started in 2015 when Blaine administration reached out to Lake View for assistance. Blaine had two very advanced students who they could not accommodate, so Lake View administration had them join a Geometry class with high school students. Over the years, the program has grown from two 8th grade students to 23! 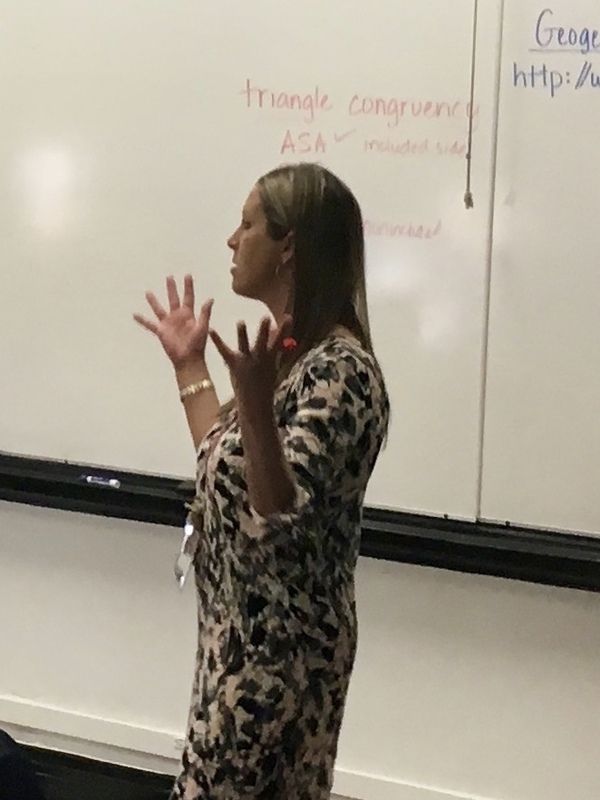 "Honors Geometry is a rigorous course that teaches math through exploration, justification, and proofs," says Erin Unander, who has taught the 8th grade groups the past few years. "The course puts a heavy emphasis on being able to visualize objects and articulate ideas clearly, and also on the importance of numerical, geometric, and spatial invariants. This is a hands-on, problem-based, student-centered course that teaches students how to justify their conjectures using geometry software, constructions, and viable arguments." Thanks to Unander, a recent recipient of the prestigious Golden Apple award, 100% of the 8th grade Geometry students passed their high school's Geometry test in 2018, allowing them to jump ahead to more advanced math courses as high school freshmen. Peggy Herrington is a writer, community volunteer, LSC chair at Lake View, and mother of three living in the Lakeview neighborhood. Peggy enjoys traveling and following the Cubs.